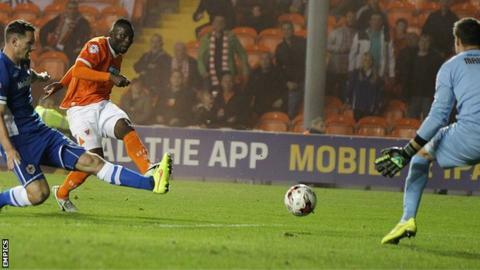 Bradford City have signed striker Francois Zoko from Championship club Blackpool on loan until 17 January. The 31-year-old joined the Seasiders in the summer after scoring 17 goals for Stevenage last season. He has so far made 14 appearances for Blackpool, but his only goal came in a 1-0 home win over Cardiff in October. Bradford obtained clearance for the Ivory Coast forward in time for him to be added to the squad for Saturday's game against Gillingham.